Buffet d’art showcases an array of artists, all of whom have been invited to bring along a buffet size piece of work, to be perused on a plinth. The show will be a melee of mismatched yet aspiring works, some with delusions of grandeur, others grubby with spillage and monotonous repetition, set to a medley of smooth and relaxing music by Brendan Lynch, designed to whet the senses and heighten your experience of these buffet-inspired memories. An exhibition concept by Peggy Atherton and Maria Bartolo. 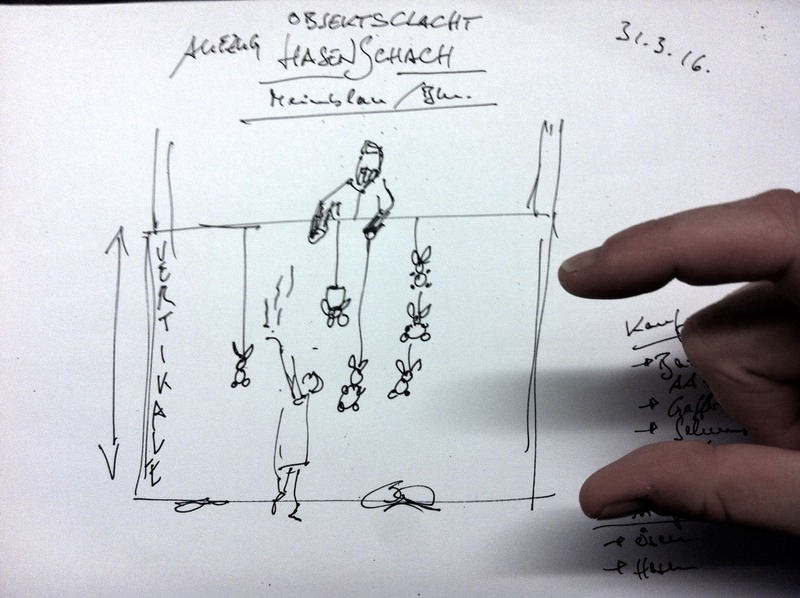 On April 1st an actual buffet will be held during the Fridäy Süpperclüb at Grüntaler9 – a space towards the performative. All are welcome. Performance Art: Elevator by Anja Ibsch & Jörn J. Burmester on Thursday March 31st.